Hershey, PA – March 21, 2019 - IGI Global, a leading international academic publisher, is announcing the recipient of the 2019 InfoSci®-Journals Distinguished Fellowship Award: Dr. Mahesh S. Raisinghani from Texas Woman’s University, USA, for his edited journal, the International Journal of Web-Based Learning and Teaching Technologies (IJWLTT). To qualify for this honor, an IGI Global Editor-in-Chief (EIC) must exhibit a record of success in raising citation, visibility, and scholarship of their journal. The EIC must also secure an adequate quantity of submissions from industry leading authors and publish each journal issue on a timely basis. In addition, the fellowship honors exceptional work gaining recognition of the journal in top indices. Dr. Raisinghani has been the Editor-in-Chief of the International Journal of Web-Based Learning and Teaching Technologies (IJWLTT) since 2006. During this time, IJWLTT has grown to offer the highest quality, peer-reviewed research around integrating the latest web-based systems and practices, including e-learning and cloud computing, within the education sphere. 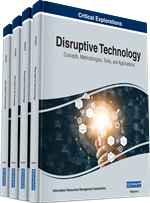 Featuring over 525+ contributions from worldwide experts from over 40 countries including United States, United Kingdom, China, Singapore, Canada, and more, this journal provides insight on web-based technology design and implementation, while including the recognition of related issues, such as social media and distractions, to enhance the overall education experience. 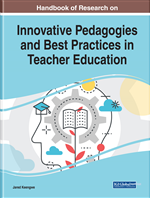 The overall mission of the journal is to contribute to the broadening of the overall body of knowledge regarding the multi-dimensional aspects of web-based technologies in an effort to enable educators and researchers to rethink the fundamental processes of teaching and learning. IJWLTT has been accepted into prestigious indices including Scopus, PsycINFO®, and INSPEC, as well as numerous abstracting services. 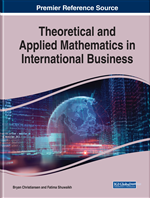 This edited journal has received positive reviews and is noted as being “unique among computing and educational journals in its coverage of all aspects of technology-enhanced learning,” while presenting high-quality research. As this award showcases IGI Global's InfoSci®-Journals database, all of Dr. Raisinghani’s research is available through IGI Global’s world-renowned InfoSci-Journals, a database of nearly 25,000 peer-reviewed articles with 1,000,000+ citation references sourced from 185+ scholarly journals. With an annual subscription (2000-2019) offered as low as US$ 5,100 US$ 3,825*, [one-time perpetual purchase for current volume year (2019) offered as low as US$ 5,000 US$ 3,750**], this database hosts key features such as full-text PDF and HTML format, no DRM, unlimited simultaneous users, and no embargo of content (research is available months in advance of the print release). Spanning across 350+ topics in 11 subject areas, including business and management, computer science, education, engineering, social sciences and humanities, and more, this robust research database is ideal for academic and research institutions. Purchase or recommend this database to your institution’s librarian. If you are interested in submitting a call for papers to IJWLTT, click here. Dr. Mahesh S. Raisinghani is a Professor in the Executive Master of Business Administration (MBA) program at Texas Woman's University, USA. Dr. Raisinghani has been dedicated to expanding education practices as he serves as a member on the board of the Global IT Management Association, as well as advisory board member of the World Affairs Council. 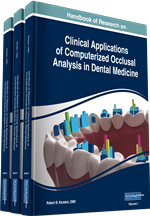 Simultaneously, Dr. Raisinghani has edited over 50 IGI Global reference books and has published over a hundred manuscripts for peer-reviewed journals, conferences, and book series. Dr. Raisinghani has won numerous scholarly awards including the 2017 National Engaged Leader Award by the National Society of Leadership and Success, TWU's 2017 Innovation in Academia Award, the 2015 Distinction in Distance Education Award, the 2008 Excellence in Research & Scholarship Award, and the 2007 G. Ann Uhlir Endowed Fellowship in Higher Education Administration. 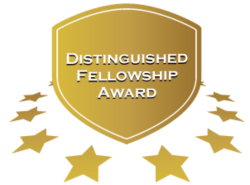 About the InfoSci-Journals Distinguished Fellowship: IGI Global’s InfoSci-Journals Distinguished Fellowship Award is an annual initiative to recognize an Editor-in-Chief for enriching the academic community through the dissemination of innovative research and excellent journal leadership. To view the previous winners, click here. About IGI Global: For over 30 years, IGI Global has been committed to producing the highest quality peer-reviewed publications (as an active full member of the Committee on Publication Ethics “COPE”) and research databases at an expeditious pace, while accelerating the rate of innovative discoveries within the academic and research communities. Now, with a database of 4,500+ reference books, 185+ scholarly journals, and boasting a full line of premier research tools in IGI Global’s InfoSci-Books and InfoSci-Journals databases, IGI Global has become an internationally-recognized publishing powerhouse. *InfoSci-Journals US$ 3,825 annual subscription price is only available to new customers through IGI Global’s Library Account Program, and cannot be combined with most offers or multi-site use. **Perpetual purchase option reflects all InfoSci-Journals issues released in 2019 for existing customers. ***The Open Access (OA) article processing charge will be waived after the student, faculty, or staff’s paper has been vetted and accepted into an IGI Global journal.